If memory serves these are the portraits of the original owners of the house. Saw this when dropping off a t-shirt in Columbia Heights. They may have been incredibly homely, but they were undoubtedly wealthy! Thanks! I like the doorknobs too. Really cool. Let’s hope they never sell the house because some tasteless flipper would probably rip it all out and replace it with drywall. Or worse, that horrible seizure-inducing backsplash (for real: I saw that on a vestibule I walked past recently). Wow, I’ve never seen that out in the public view. That’s akin to second hand smoke! If you were in Bloomingdale, it is probably my vestibule which causes you so much displeasure. For the record, we enclosed an empty space to create the vestibule so there was no old tile there. We haunted the salvage yards and internet sites for enough of the old tiles of a single lot to cover the required 25 sq/ft or so of wall space typically covered by tile in these vestibules. We finally gave up and picked a mosaic marble and glass tile that blended with the marble on the floor. 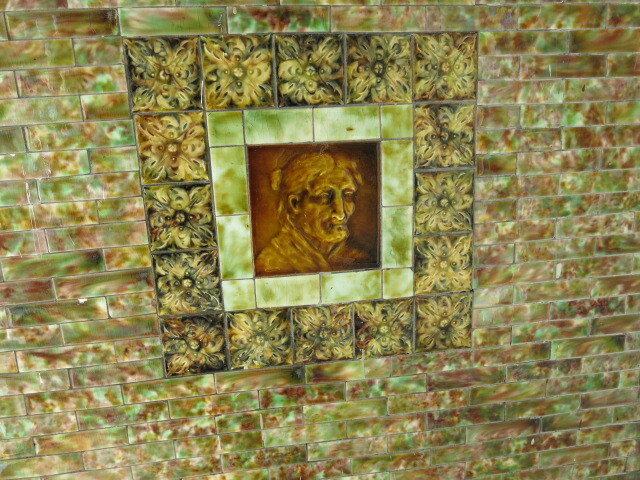 We have since found a place that will make tiles that replicate the old finishes. At such time as we are able to spend money on custom tile to replace perfectly good tile, we will do so. Until then, it is not our first choice but it is hardly as odious as your reaction would indicate. It is your prerogative not to like it, but that doesn’t make you the aesthetics czar. We have actually been complimented on it a couple of times. For real. Just don’t look if you don’t like. Why do you assume the previous poster is talking about you? If that’s your reaction, sounds like YOU hate your vestibule. If you will read more closely, I used the conditional ‘if’ and ‘probably’. And even if (again conditional) it were not my vestibule in particular, the general critique laid against the mosaic tile in any vestibule remains the same. I don’t hate my vestibule; I rather like it. But I acknowledge that my preference would be to be more historically accurate. So yeah, you might want to get a refund for your dime store psychology degree. Whoa there — so defensive! 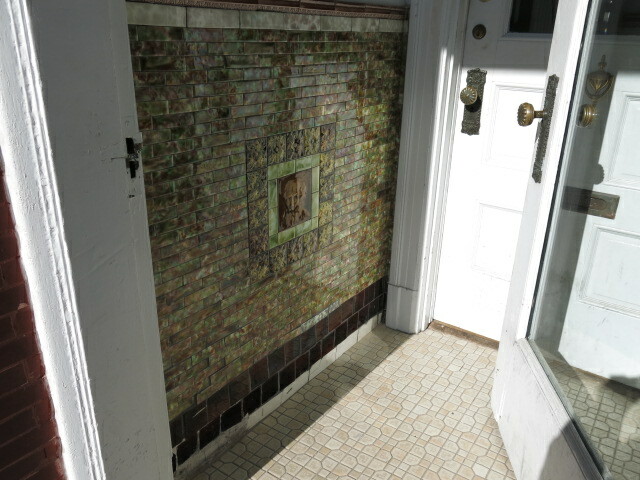 It wasn’t in Bloomingdale that I saw it, but given that you immediately assumed that the only house that has a heinous backsplash-tiled vestibule is yours, then I’m guessing you’re right that I might not be such a fan of it. And I say that because I specified the “seizure-inducing” backsplash originally, there are many backsplashes (even the mosaic ones) that wouldn’t fit that description. I actually wasn’t being defensive rather explaining that it might be a case were the old tile wasn’t replaced for something you deem as horrible. I respond with my particular case that modern tile as a last resort. The tile we picked while mosaic is actually fairly muted in neutral/marble colors. It was your assumption to which I was responding. You don’t know why the tile in the vestibule was the seizure inducing tile (I know what you mean and don’t like it as well but some people do so I stand by my don’t look if you don’t like. I don’t like the purple and pink house on my block but it matches the quirky owner so I just kind of laugh at it rather than seize.) instead of the historic tile. As the word ‘if’ indicates, I did not assume it was my vestibule in particular, but I was taking the larger implication of your assumption. Given the premise of the comment thread where the ugly backsplash was mentioned (“let’s hope a flipper doesn’t…..”), it was well within the rules to be judgey about tile choice. Obviously what people want to do to their own homes is their own business, whether that’s to install ugly tile or attractive tile or the best tile they can find given compromises of budget and aesthetics and availability. Certainly when the judgeyness is in the hypothetical as in the first part of the response it is all fair. But in the second part, the ‘for real’ in the parentheses, it takes a mocking tone toward a particular instance and that goes beyond the initial scope of some abstract flipper – it is now some person to whose home is referred very personally. It would also be a different matter if it were a house listing that was being presented for public consumption. But it is just some person’s home minding its own business. What is the name of the place that will replicate the old finishes? 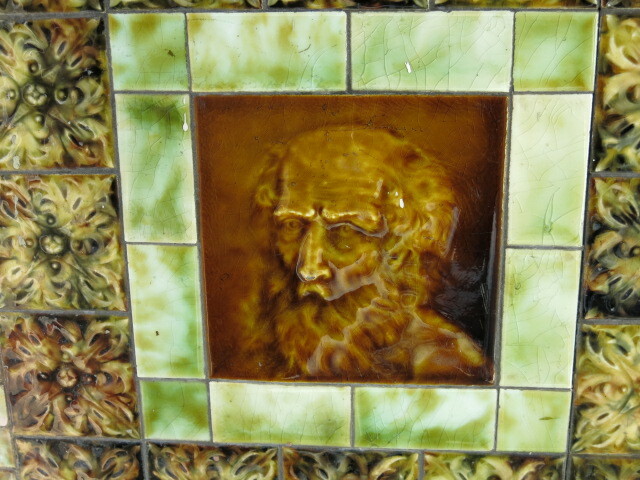 The company is L’Esperance Tile Works in New York state. 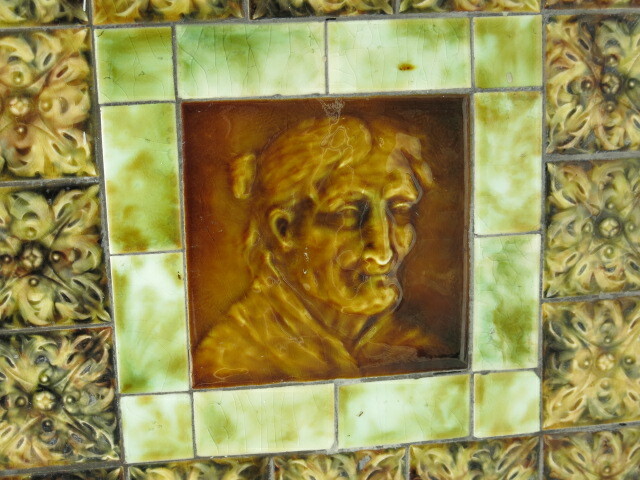 Here is a link to the tile page – there is a separate page for the glazes. 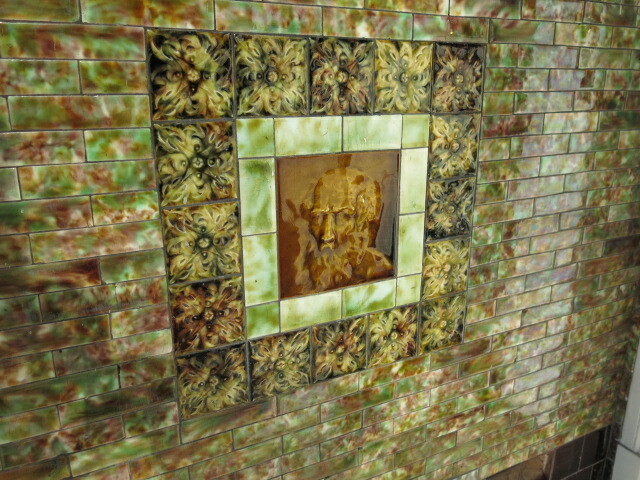 http://www.lesperancetileworks.com/Field-Tile-c29.html The first selection is the crackle glaze group. Look at the gallery for how they can mix the color scheme. I particularly like the green/brown combos they have done. We have two old Victorian tiles with Grecian lady figures that the shop will be able to match for us to fill in around the sides very similar to the vestibule above. Super nice people to work with as well. It’s about $1000 per 100 sq/ft if I remember correctly. As a Columbia Heights homeowner that would like to restore some of the historic elements that were removed from our vestibule years ago, anyone have any advice for learning more about what was typical for homes built in CH at the end of the 1800s? I don’t have the time to attend one of the Historic Society’s home history tutorials (maybe someday) and I have never had great luck finding online resources that are specific to my narrow interest. The pictures here are some of the most helpful things I’ve seen thus far. Any and all tips are welcome. Thanks. I’ve done one of those tutorials, and while helpful and cool to sit through, all they will basically tell you is to look through the photo archive at MLK library. + 1. They have quite a bit of info online as well. He used to be all over the vestibules, back in the blog’s early days. I was actually missing them.